Optometry at The Shops - Exceptional eye care with a smile! 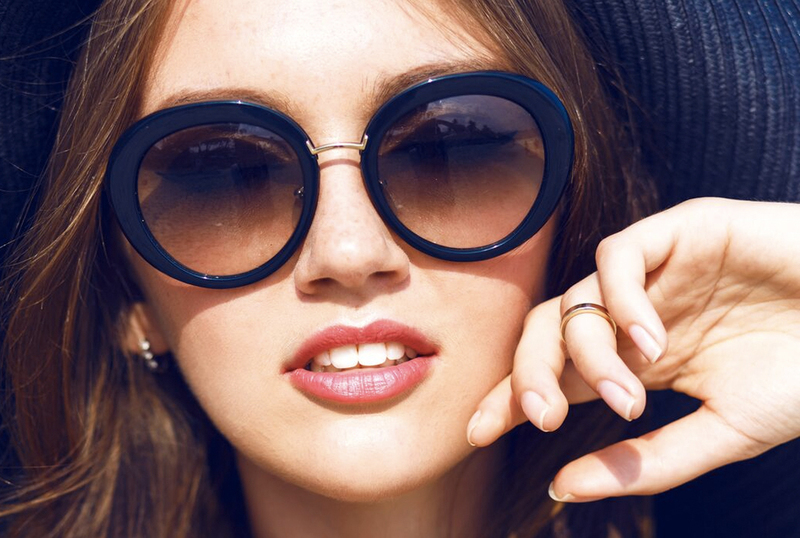 Optometry at The Shops offers one of the largest selections of the latest designer eyeglasses and sunglasses collections in South Orange County. Our brand selection includes: SALT Optics, Chanel, Tom Ford, Persol, Lafont, Prada, Bvlgari, Tiffany, Oakley, Kate Spade, Dolce & Gabbana, Ralph Lauren, Coach, MiuMiu, Silhouette, Versace, Maui Jim, OGA, Guess, Bebe, Ann Klein, Armani, and other very exclusive fashion brands. Are you tired of the hassle of contacts and glasses? Dr. Ciobanu O.D. offers LASIK consultations to determine if you are a good candidate for this safe and quick procedure. During your consultation, Dr. Ciobanu O.D. will use state-of-the art technology to check the overall health of your eyes, including your corneal curvature, eye pressure, and retinas. 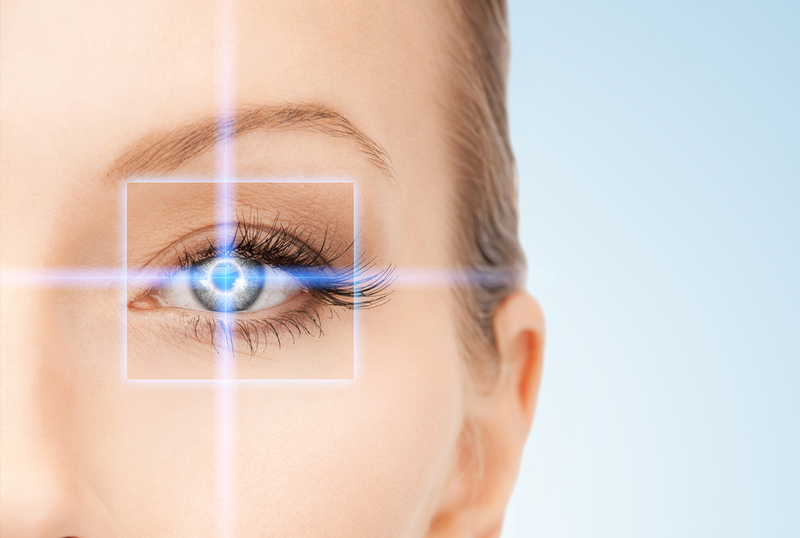 LASIK is used to correct nearsightedness, farsightedness, and astigmatism. The procedure takes about 15 minutes and would be performed in partnership with renowned eye surgeons in Southern California. Optometry at The Shops is conveniently located in Southern Orange County off of I-5 in Mission Viejo. We're located inside The Shops at Mission Viejo on the second level of the mall, next to the Macy's Men's department. We are open 7 days per week. Optometry at The Shops is a local family owned practice that has been located in Mission Viejo for over 35 years. "I have always valued the importance of getting to know each patient and providing them with a level of care that I would give to any member of my own family. I look forward to meeting you and providing you with excellent vision care." Dr. Diana Ciobanu O.D. Dr. Diana Ciobanu O.D. and her Associates provide comprehensive eye exams using state of the art equipment, including digital retinal photography. We evaluate your eye health to diagnose and treat disease. Dr. Ciobanu O.D. 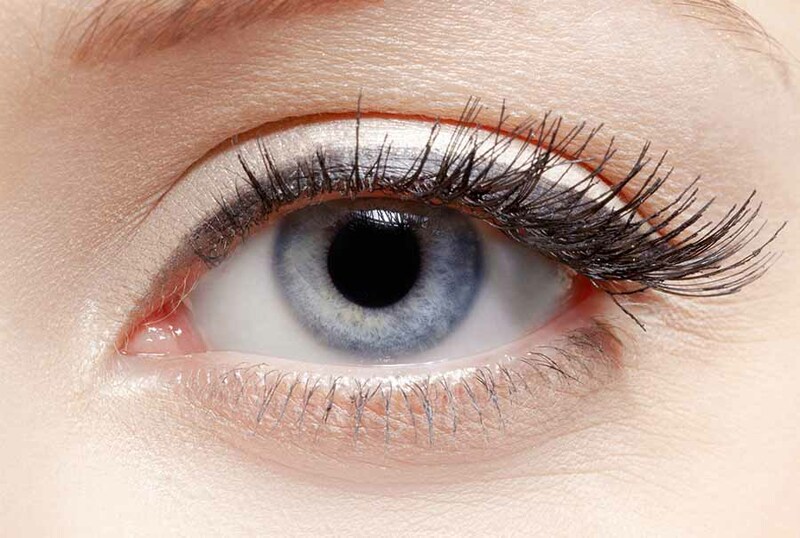 & Associates ensure appropriate contact lens fittings for your unique eyes. I love this office and highly recommend for all eye care needs. I recently met the new owners and staff, and they are great! I did my exam with Dr. Ciobanu - she is so sweet, friendly and knowledgeable. She is very professional and patient, answered all my questions and made me feel very comfortable. The office itself is very chic yet cozy. They have a great selection of frames, from high end (Chanel- very hard to find offices that offer Chanel!) to local brands (SALT). The opticians are knowledgeable and friendly, and great at helping you select a frame that suits your face. I’ve been a patient of Dr. Ciobanu's for years. Not only is Dr. Ciobanu one of most knowledgeable optometrists I’ve encountered, but she always goes the extra mile to ensure that I have everything I need. By the time I’m done with my exam and fitting, I know that I’ve got the best quality lenes and fit possible. With regard to the facility, it’s bright, clean, has a great selection of frames, and her staff is very friendly, helpful, and effective. If you’re in need of an optometrist….you’re not really going to find better than this. My wife and I have been seeing Dr. Ciobanu regularly for the past 5 years, and we couldn't be more satisfied. Dr C. is thoroughly professional in performing the eye exams and asks excellent questions to get a good picture of your overall health and vision. She makes great recommendations as to lifestyle and glasses. She has a very pleasant personality that makes it a pleasure to meet with her every year. Highly recommend her. 10/10 would recommend to anyone who is looking for a nice and comforting environment for their eye care! Dr. Ciobanu is the best! She is so sweet and very easy to talk to when it comes to any of the questions you might have regarding your vision and just your eyes in general. She definitely has a way of making you feel comfortable. The team is also super nice and helpful as well -- always willing to help you with whatever you need! Just had a very pleasant experience at this shop. Dr. C was super sweet and nice all around. Very informative regarding progressive lenses and why they might be a better choice for my situation. They have a nice selection of designer frames and the price point on them was really good. Brian helped me pick a good fit- and I really think he has an eye for it. Great experience overall- now I can't wait for my glasses to be ready! I'm used to getting them in an hour- but I'm sure it will be worth the wait. Great customer service - I definitely recommend. I decided to come to Dr. Ciobanu for my eye exam this year because of the great reviews and selection of eyewear. Dr. Ciobanu is very knowledgeable, takes her time with the exam, answers all questions thoroughly and is very sweet. Her staff is also friendly and gives good advice as to which frames are best for your face shape. This office has a great selection from Chanel to Salt and many other designers/brands. I highly recommend coming here if you want excellent and professional service! Such a great experience! This was my first ever pair of glasses at 29 so as you could guess I was fairly nervous when arriving. Dr. Ciobanu quickly put my fears at ease and was warm, inviting and professional. The staff worked with me for well over half an hour with had an equally calm and professional manner that Dr. Ciobanu had until we found the perfect pair. I'll admit, any glasses felt foreign to me and she gave many helpful opinions without being pushy. Would recommend them to anyone! NEW DOCTOR! And I think new ownership? Lots of new faces. I don't know when Dr. Ciobanu took over this place, but she is so nice! She is very knowledgeable and friendly and she brings a great vibe to this office. The office is pretty nice and they have a unique selection of glasses. I don't think I've seen Chanel or a brand called SALT anywhere else. Located inside the mall, I would recommend! "I've been coming here for the last several years because of the personalized and welcoming experience. This recent appointment on 8-5, there was a Chanel trunk event for a free set of frames. Helga was so helpful and caring on my specialized needs for lenses that help me see better from having Retinal Necrosis in the past. I met the new owner Dr Ciobanu who was very nice and friendly. I also won a new set of Chanel frames! Highly recommended!" "I love this office and highly recommend for all eye care needs. I recently met the new owners, and they are great! I did my exam with Dr. Ciobanu - she is so sweet, friendly and knowledgeable. She is very professional and patient, answered all my questions and made me feel very comfortable. The office itself is very chic yet cozy. They have a great selection of frames, from high end (Chanel- very hard to find offices that offer Chanel!) to local brands (SALT). The opticians are knowledgeable and friendly, and great at helping you select a frame that suits your face." 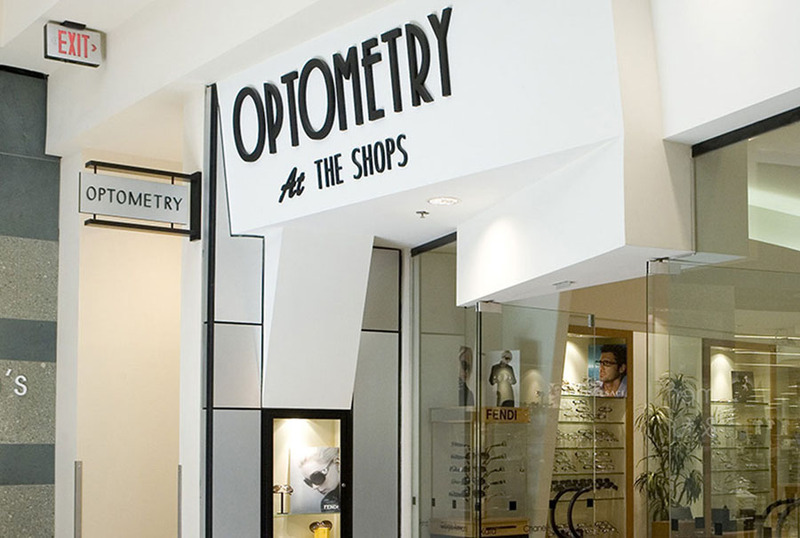 Optometry at The Shops is a local, family owned, Optometry practice at The Shops in Mission Viejo. 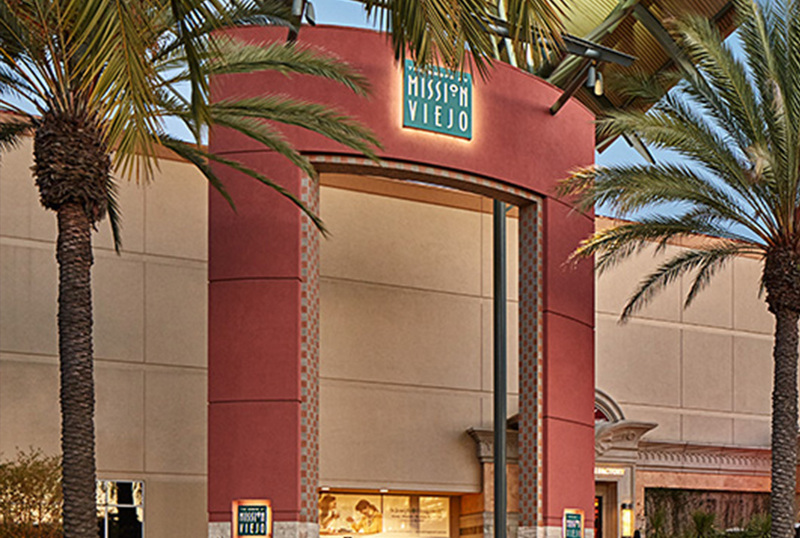 The practice has been located in Mission Viejo since the mall opened in 1979. 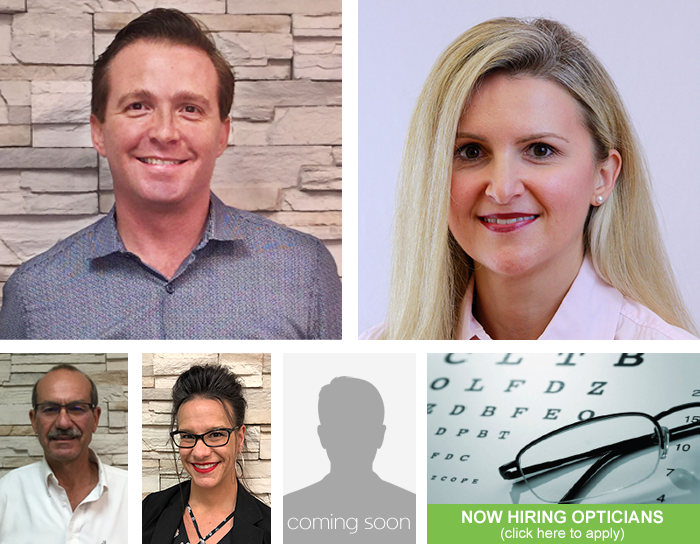 Optometry at The Shops has a long standing tradition of providing extraordinary patient care with personalized customer service to families in South Orange County. We sincerely value the relationships we have with our patients, many of whom have been loyal patrons for many years. In addition to providing exceptional patient care, we offer a large selection of fashionable eyeglasses and sunglasses, including exclusive luxury lines such as Chanel®, Tom Ford®, SALT Optics® and Silhouette®. When it comes to Optometry, details are of the utmost importance and we pay great attention to them. Our goal is to improve your quality of life by improving your vision and by ensuring your eyes remain as healthy as possible. We look forward to taking wonderful care of your family’s eye care needs. We take pride in being the easiest to work in whatever language you prefer. In addition to English, we offer on-staff language consultations in Spanish, Romanian, Farsi and Italian. Dr. Ciobanu uses the latest technology to identify vision problems and diseases. Dr. Ciobanu performs specific tests to determine the proper treatment for your eyes. Dr. Ciobanu captures 200 degree images of the eye and eliminates dilations. Dr. Ciobanu offers LASIK consultations to determine if you are a good candidate. Dr. Ciobanu will evaluate your eye health and diagnose and treat disease. Dr. Ciobanu ensures appropriate contact lens fittings for your unique eyes.